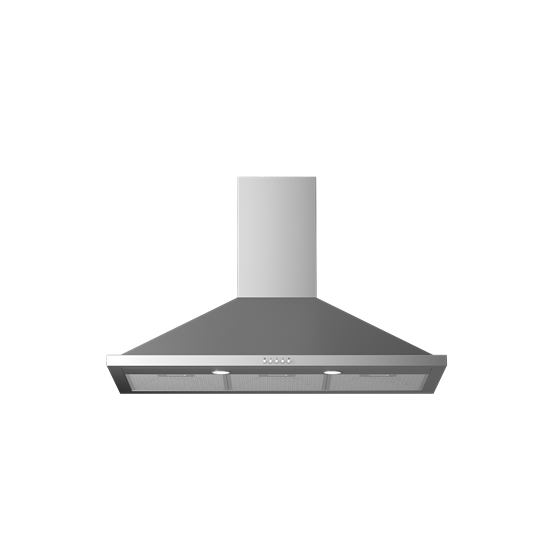 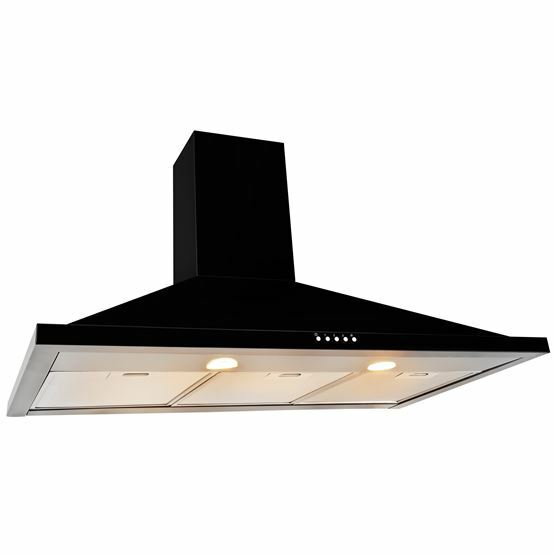 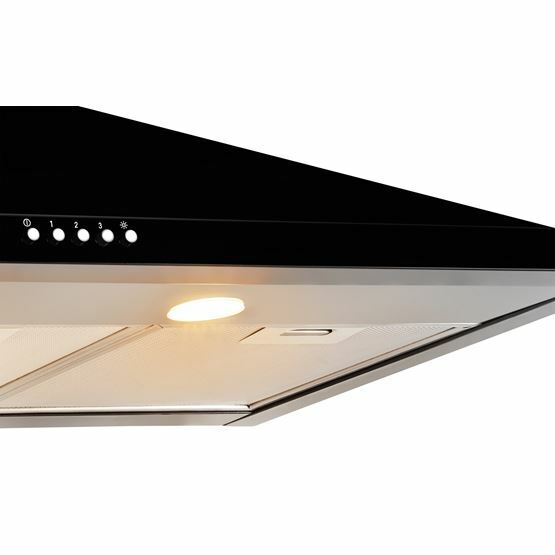 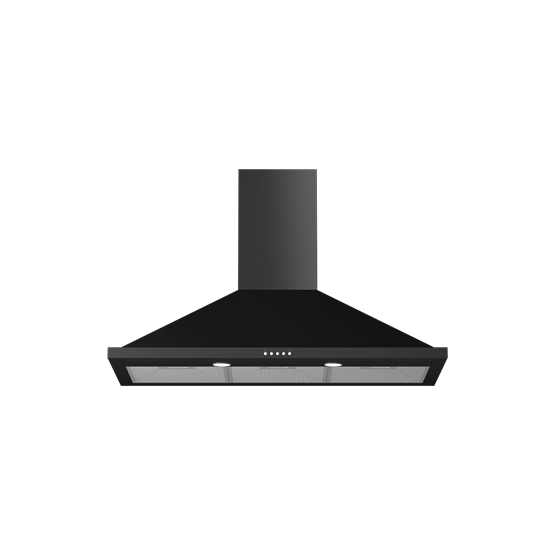 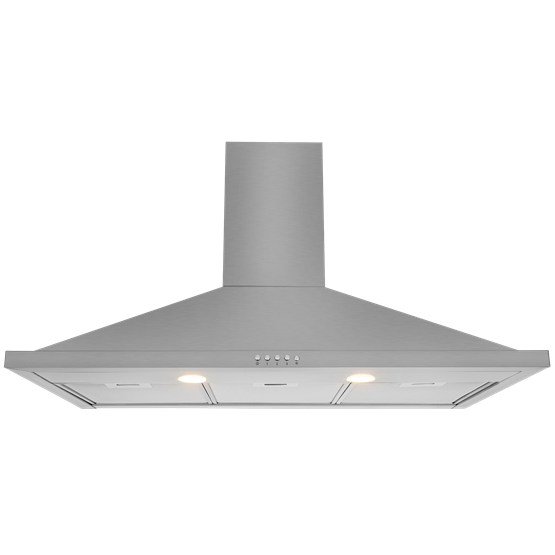 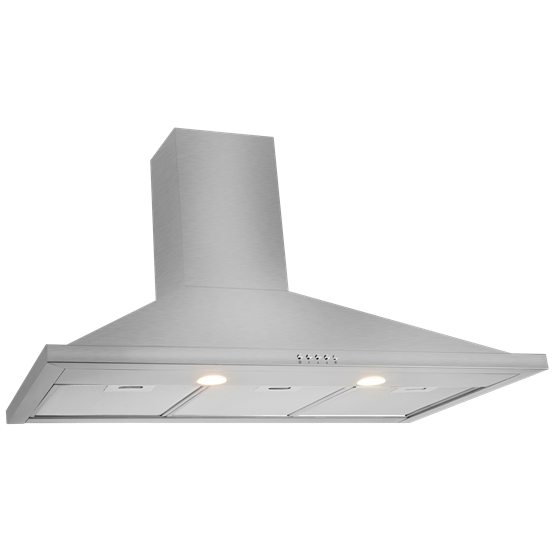 This eye-catching 90cm chimney hood is a style statement for your kitchen. 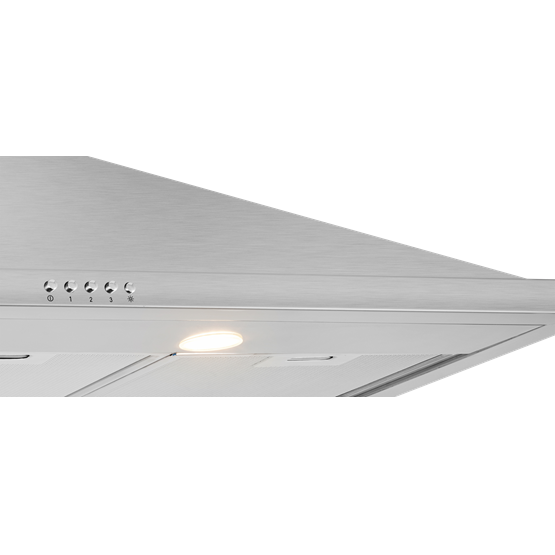 It can operate as either an extraction or recirculation hood, and features two energy efficient LED lights to illuminate your cooking area. 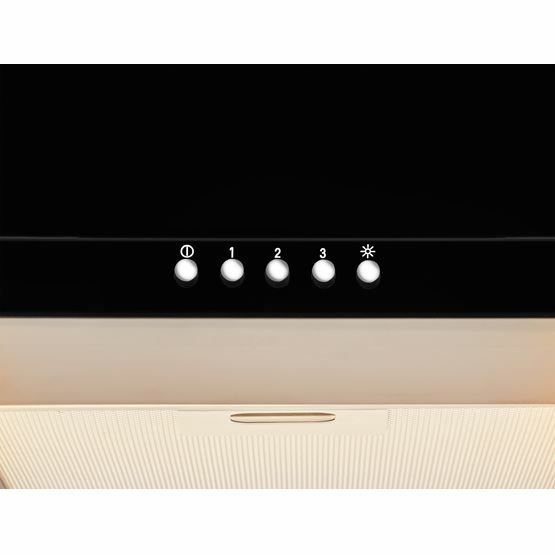 Bad Points: Mains lead a meter short. 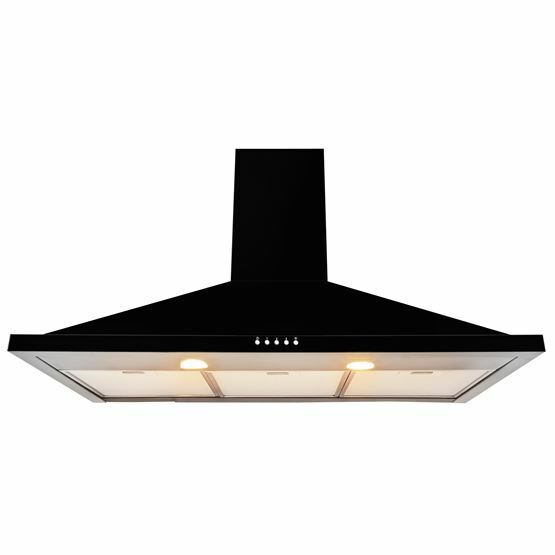 Good Points: Great value for money when compared to other hoods. 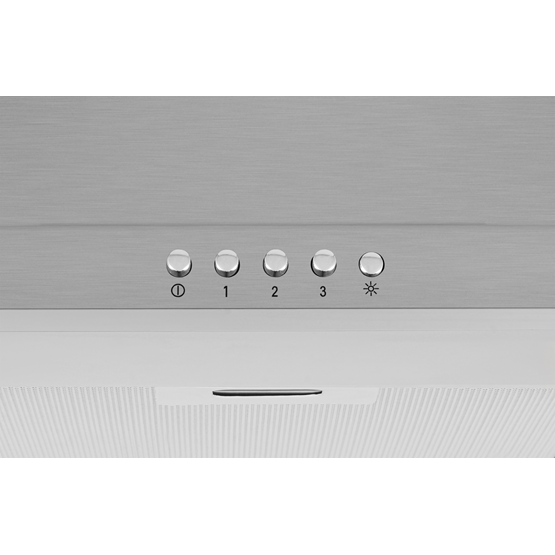 Looks good and has a good range of settings.